One of the biggest matches being talked about heading into AWL is the meeting at 61 kg between Cory Clark (Team Taylor) and Tony Ramos (Team Dake). 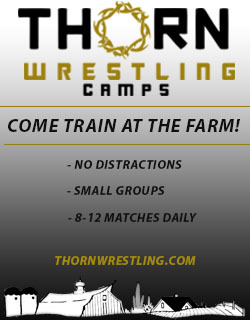 Both wrestlers were developed under the tutelage of Tom and Terry Brands at the University of Iowa. Both wrestlers were NCAA champions for the Hawkeyes at 133 pounds. Both wrestlers used to live under the same roof. These two come into this meeting with a lot history of being teammates and have spent countless hours training together. Throughout his freestyle career Ramos has been as steady as they come, with five U.S. National Teams under his belt at 57 kg, and a strong track record of competing in his once adopted state of Iowa. Ramos is a battle tested veteran that will be facing the younger Clark, who kicked off his freestyle career last summer. Clark’s domestic career got off to a bumpy start as he failed to qualify for the U.S. World Team Trials, but he has since gotten on track, earning medals at the Spanish Grand Prix (silver) and the Poland Open (bronze). All-in-all this should be a fantastic matchup between two opponents that knows his opponents tendencies, strengths, and weaknesses. The last T-Ram was on the mat in the U.S. Cellular Center he knocked off former Olympic champion Henry Cejudo in dramatic fashion so we will see if he has fireworks in store for his return. For the 70 kg matchup we will see the events top draft selection, James Green of Team Dake, take on local product Brandon Sorensen of Team Taylor. There is no questioning why Dake opted to go with Green at this weight as he is easily one of, if not the, most credentialed wrestlers competing in AWL I. As a two-time World medalist it’s no secret who is the favorite coming into this match. But every great wrestler has always had a hungry challenger there to push him. Someone to knock on the door and trying to establish themselves as “the guy”. Could that wrestler be Sorensen? He definitely checks the box of a young, up and comer as he recently finished off his career as a four-time All-American. He’s got momentum. Most recently Sorensen has won international medals at the Canada Cup (gold) and the Poland Open (bronze). Green on the other hand is coming off his lowest World Championships performance, but lets face it 13th in the World is still one heck of an accomplishment. Sorensen will also be in control of the home crowd. 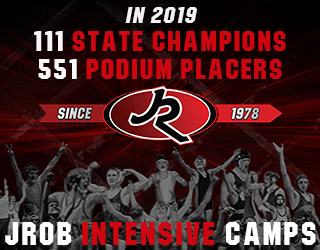 He competed collegiately for the University of Iowa and was a local product out of Denver-Tripoli high school where he won four state titles. The truth is Green comes in as the favorite, but his competitor will have plenty of advantages in his corner that should allow him to push our U.S. World representative. 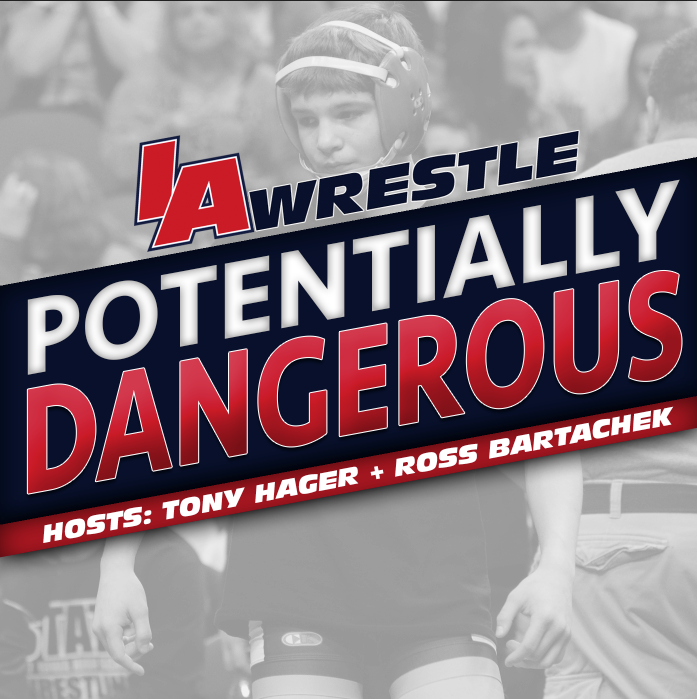 As we reach the midway point in our previews we bring you a matchup that features a pair of wrestlers that are new to the Senior circuit, Richie Lewis of Team Dake and Tommy Gantt of Team Taylor. Believe it or not, Lewis actually has some ties to the state of Iowa when he spent some time competing for JUCO program Iowa Central Community College. There he competed alongside the likes of fellow AWL draftee Pat Downey as the Tritons won the 2017 NJCAA national title. Lewis went on to have a stronger career at Rutgers University and broke out Internationally last fall when he won the U23 World title at 70 kg. After wrapping up his career as an All-American for NC State Gantt stayed on in Raleigh and joined the Wolfpack RTC. Last March he won his first International medal when he won gold at the Bill Farrell Memorial International at 74 kg. The finished automatically qualified him for USA Wrestling’s World Team Trials. Gantt ultimately finished fourth on the U.S. ladder. These two are contrast of styles, as Lewis brings a brawling, grind you down mentality while Gantt is definitely more explosive. During his gold medal run at Bill Farrell he scored 11 straight points after trailing 7-0 to Cuban international wrestler Franklin Gomez, followed by a 11-0 torching of Dan Vallimont in the finals of that event. The 86 kg matchup features a pair of former Big Ten brutes, Nick Heflin of Team Dake and Sammy Brooks of Team Taylor. Both wrestlers had successful college careers and are now looking to take that next step on the Senior men’s freestyle ladder. 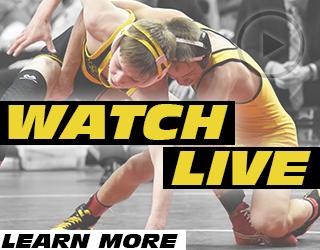 Brooks is the third member of the Hawkeye Wrestling Club selected by Taylor to compete in his lineup. With a strong Hawkeye based lineup, and Iowa native Kyven Gadson (97 kg) it would appear that Taylor’s lineup game plan was to tailor his team to the crowd, putting those in the U.S. Cellular Center in a position to cheer for his team, and hoping that his athletes will feed off of that energy. A product of USA Wrestling’s developmental circuit, Brooks has represented the USA on every single youth level: Cadet (2011), Junior (2013), and U23 (2017). After dealing with a few injuries Brooks missed out on this year’s trials process, but did return in time to compete at the Poland Open, which he won silver at in September. On the other side is former Ohio State standout Nick Heflin, who had been competing at 92 kg before making the decision to drop down to 86 kg earlier this spring. While at 92 kg Heflin was the gold medalist at Dave Schultz Memorial International and he just missed out on medaling at the Ivan Yarygin Grand Prix this January, where he finished fifth. Heflin also took third at this year’s U.S. Open. This will be a battle between two bruisers that many fans are looking forward to. With a win, Brooks can cement his status as a National Team threat in 2019. For Heflin it’s another opportunity to down a Hawkeye on their home mat. At 92 kg the Iowa crowd will get to see yet another familiar face as Kyle Dake selected Deron Winn as his starter to take on David Taylor’s Mike Macchiavello. Not too long ago Winn was training out of Ames, Iowa’s Cyclone Wrestling Club and he also competed in the AGON event that was held in Cedar Rapids back in 2015. Over the last year some things have changed for Winn. He has since entered the MMA circuit where he has put together a perfect record, and that’s including his fight he had on Saturday, November 24th. What hasn’t changed is his presence on freestyle scene. With the introduction of the 92 kg weight class, Winn opted to try his hand in making a World Team and was rewarded with a third place, National Team finish. On Taylor’s side is the up and coming Macchiavello, who has definitely made a splash over the last nine months. Not only did the NC State grad surprise many by winning last March’s NCAA title at 197 pounds, but in the summer he won the right to compete for Team USA at the U23 World Championships. Unfortunately due to a technicality with his age Macchiavello did not end up competing for the USA. During the qualification process Macchiavello was still 23 years of age, but he turned 24 a mere seven days before the end of the year, which disqualified him from competing. Coming into this match we know definitely know two things about these wrestlers. First, Macchiavello will be hungry to compete after missing out on a chance to represent the U.S. at a World tournament. Second, is that Winn is obviously a warrior having agreed to wrestle just six days after a professional fight. Looking at the 97 kg matchup David Taylor continued his trend of selecting wrestlers with a “home mat” advantage by taking Iowa State grad and Waterloo, Iowa native Kyven Gadson with his top overall pick for this weight-class. That’s not to say Taylor picked Gadson purely based on his hometown appeal for this matchup, as the former NCAA champion has been the U.S. World Team runner-up the last two years. Kyle Dake on the other hand had a much more difficult decision on his hand, having selected Jacob Kasper and Ty Walz for his roster spot. While both wrestlers are relatively fresh to the senior circuit, Walz was definitely the more credentialed of the two. Over the last 12 months Walz has competed for Team USA on the U23 squad where he was the World bronze medalist, won the Bill Farrell International, took silver at Cerro Pelado International, and made the 2018 U.S. National Team. Despite all of that Dake felt that Kasper was the better option based on his style of wrestling and how that contrasts with Gadson’s. Kasper’s Senior level credentials are more limited, though the former Duke All-American did make an appearance for Team USA at this year’s Pan American Championships where he competed in Greco-Roman. Both of these wrestlers are entertaining on and off the mat, which has made them favorite not only to fans who followed their college teams, but both have a charisma that has a broad appeal. November 30, 2018 in Freestyle/Greco. ← You Make The Call! Pruisner vs Finowski ends at the buzzer!